It’s late February and that can only mean one thing, it’s time for the fringe to leap back into our lives in a swirling display of colour, atmosphere and fun. While for years the Garden of Unearthly Delights has reined supreme as the king of Fringe venues, the rising force of Gluttony is seeking to challenge for the top spot. With that in mind, Adelaide Food Central was invited to preview some of the food on offer at Gluttony this year, and it really is all in the name. To match the fantastic shows, the venue is offering up some truly top-notch food this year, with a variety that will excite even the pickiest of foodies, and very reasonable prices to sweeten the deal. First up was Toly Vietnamese, well known to anyone who frequents Flinders University, and for good reason. 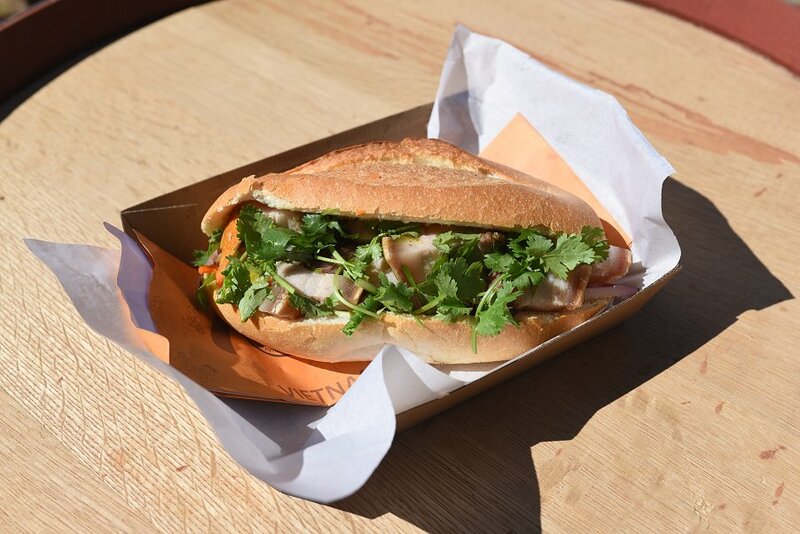 They offer a selection of classic Vietnamese staples such as bun bowls, marinated chicken skewers and the ever-popular Bahn Mi roll. We tried the Crackling Pork Belly Bahn Mi, and it was a showstopper, Moist perfectly roasted pork, a nice selection of veggies and a crispy roll, all for the tidy sum of $9. Next Was The Filipino Project a pop up actually staffed by the team from Niño’s Lamesita on north terrace, offering a selection of barbecued meats done in Filipino style. 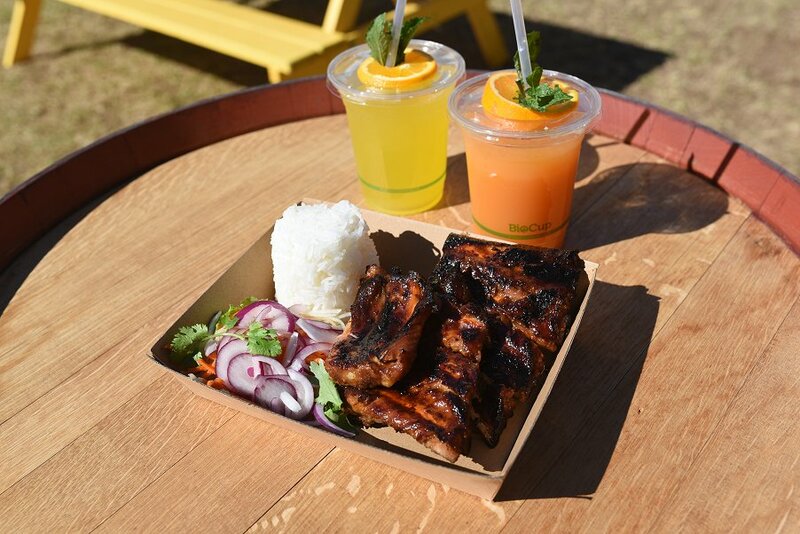 We tried their sweet Filipino BBQ Pork Ribs, and I honestly can’t think of any criticism for them. The meat was so tender it came off the bone with no effort, the glaze was a treat and the flavours of the sauce were marinated deep into the meat. If you’re headed to Gluttony and want a sizable dinner/lunch, I cannot recommend this place enough. We then visited the Pizza Project, a pop-up that’s relatively fresh on the scene having only been in operation since December. They sell a variety of classic pizza slices, but the big bonus factor is that they also work with the homeless shelters around Adelaide, and donate a meal to someone in need for every serving of pizza sold! So you can enjoy your food all the more, knowing that someone in need benefits too! 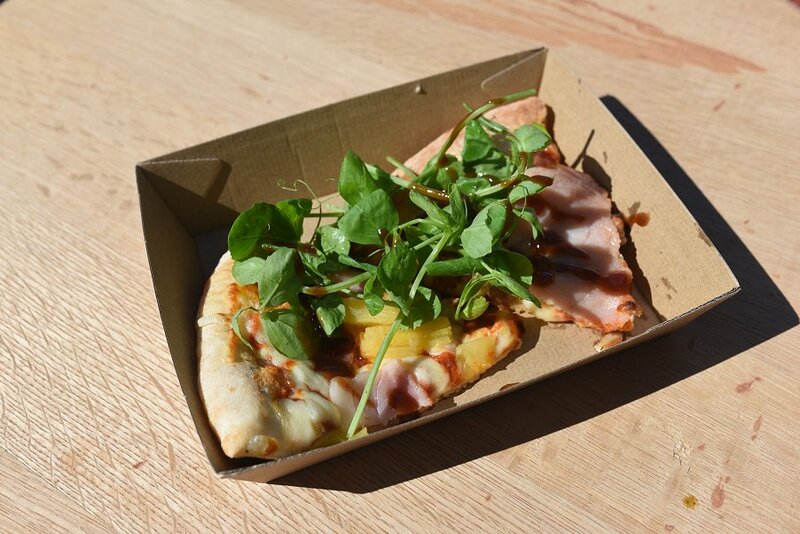 We tried a slice of Ham and Pineapple, and a slice of Margherita, both had crispy crusts, fresh toppings and a homemade glaze (available in both BBQ or Balsamic). And finally a wrap up of the Gluttony offerings couldn’t be complete without mentioning Cheese-a-Holics. Open for just under a year, down at Plant 4 Bowden, Proprietor Lauretta and her husband Evan bring a passion for all things Curd to the Gluttony line up. 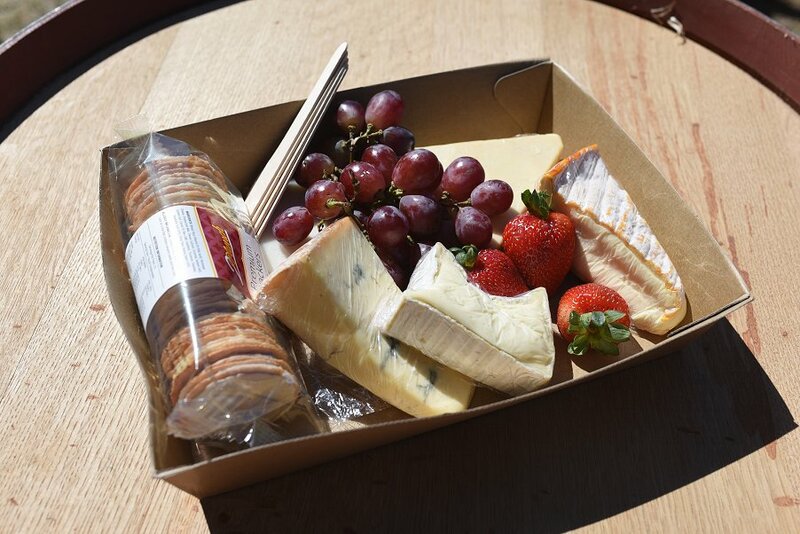 They offer both Cheese and Antipasto platters, excellent as an appetiser/snack for a group of 4-5. If you’re a true cheese lover, go for the cheese platter, which comes with 4 different blocks of quality cheese and some sides. If you like cheese, but also like some assortments to go alongside, try the Antipasto platter, which comes with one block of cheese, but also a variety of dips, cured meats, and olives to accompany it. Gluttony is situated on the corner of Rundle Road and East Terrace, just south of the Garden of Unearthly Delights, and is open for the entire fringe season from Friday the 16th of February till Sunday the 18th of March; make sure to give it a look!